Battersea is largely famous for three things – Battersea Park, Battersea Dogs and Cats Home, and Battersea Power Station. Being on the river, Battersea was easy to access and naturally had a role to play in the industry of London, hence the construction of the Battersea Power Station. This presence of industry may go some way to explain the somewhat small number of blue plaques on this south side of the river, as compared with the very large concentration on the north side in Chelsea. However, like its neighbour Clapham, the vast majority of the blue plaques of Battersea are dotted around the green space of Battersea Park, which was opened in 1858, where naturally those of note who became wealthy would look to move if possible. 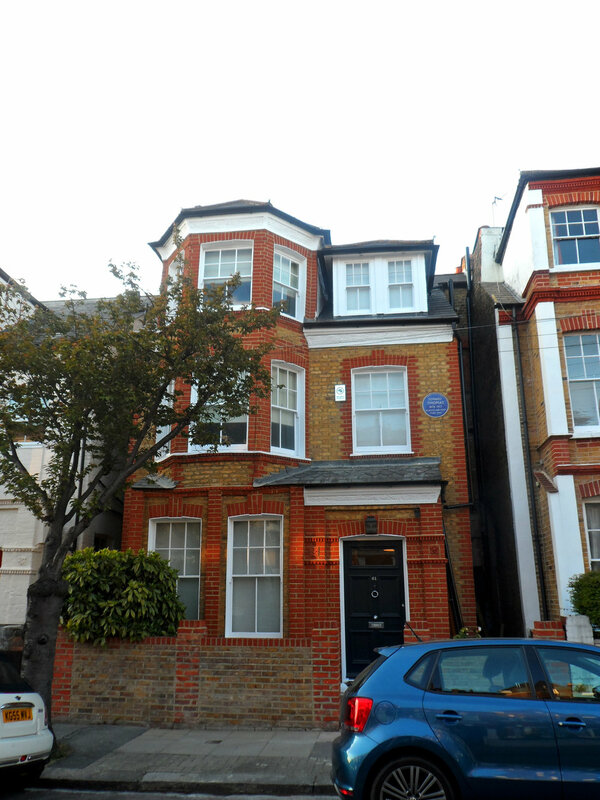 So without further introduction, here is a list of the blue plaques of Battersea! One of the more recent blue plaques to be put up, John Richard Archer was commemorated in 2013 for his work as the Mayor of Battersea between 1913-14. He was the first black person to hold a senior public office in London and he lived on Brynmaer Road for 20 years with his first wife from 1898. He lived there when elected to the position of mayor and the house still exists in a similar form today. 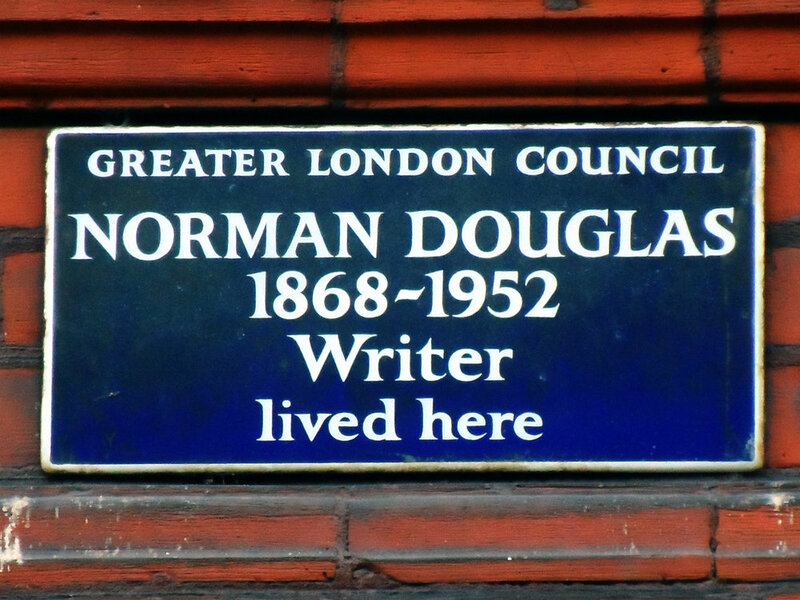 Norman Douglas is best known for his novel South Wind, and his travel books Old Calabria and Fountains of Sand. Though he spent most of his life from 1896 living on the Italian island of Capri, he lived in short-stints in Battersea until he jumped bail on the charge of indecent assault and effectively lived in exile, only returning in 1942. The façade of the mansions is as it would have been when Douglas lived there. Charles Sargeant Jagger is most famed for the Artillery Memorial at Hyde Park Corner and the Great Western Railway Memorial in Paddington. He moved to Battersea after serving in the First World War, where he saw action in Gallipoli and Flanders, and was awarded the Military Cross in 1918 having been wounded twice. 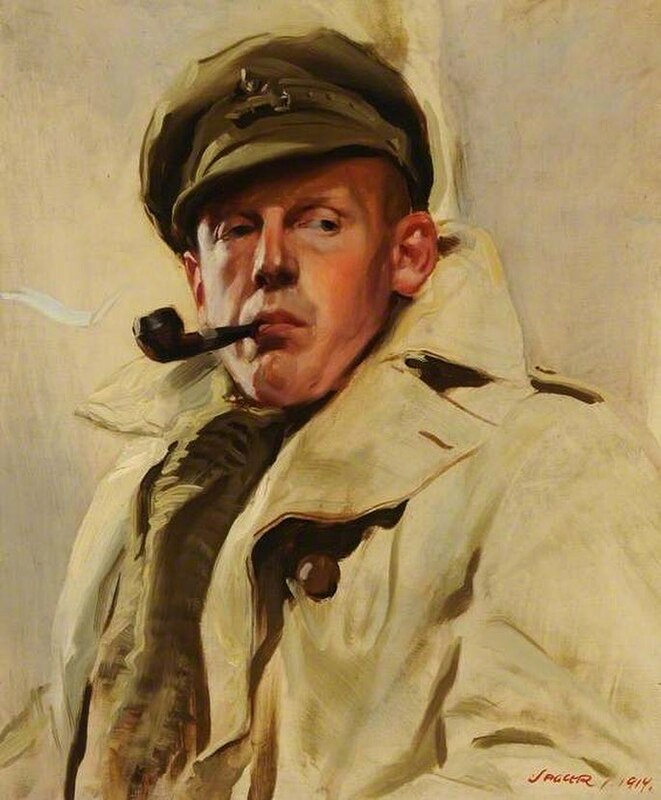 His experiences during the war would inform the vast majority of his work until his sudden death from a bout of pneumonia at his home in Battersea in 1934. G. A. Henty lived at 33 Lavender Gardens at the end of the 1800s. By this time, he had established himself as one of the leading war correspondents of the Victorian era after his letters home from the Crimea were published. Afterwards he would report from Abyssinia, India and Paris during the Commune in 1871. He also published numerous historical adventure stories for boys such as At Agincourt: A Tale of the White Hoods of Paris and Under Drake's Flag. 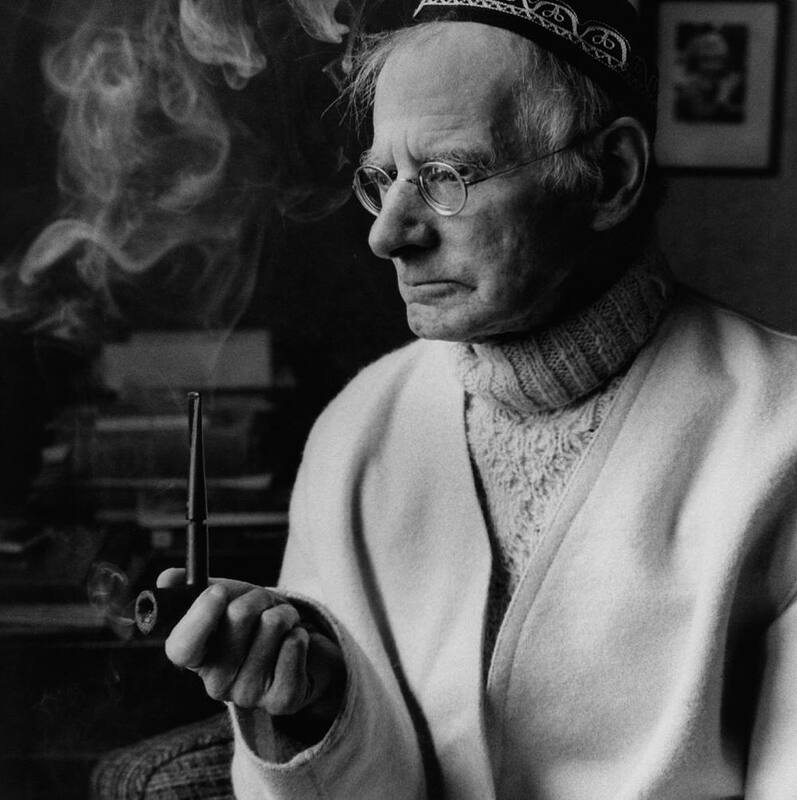 Sean O’Casey was an Irish playwright who is best known for his first three plays – Shadow of a Gunman (1923), Juno and Paycock (1924), and The Plough and the Stars (1926). Having suffered a number of personal attacks due to the content of the third, he left Dublin for Battersea where he married Eileen Carey in 1927. Though consistently published, he struggled to match the quality of the output of his earlier career in Ireland and regularly upset audiences with the overtly Socialist content of his writing. He eventually left London in 1938 and died in Torquay in 1964. 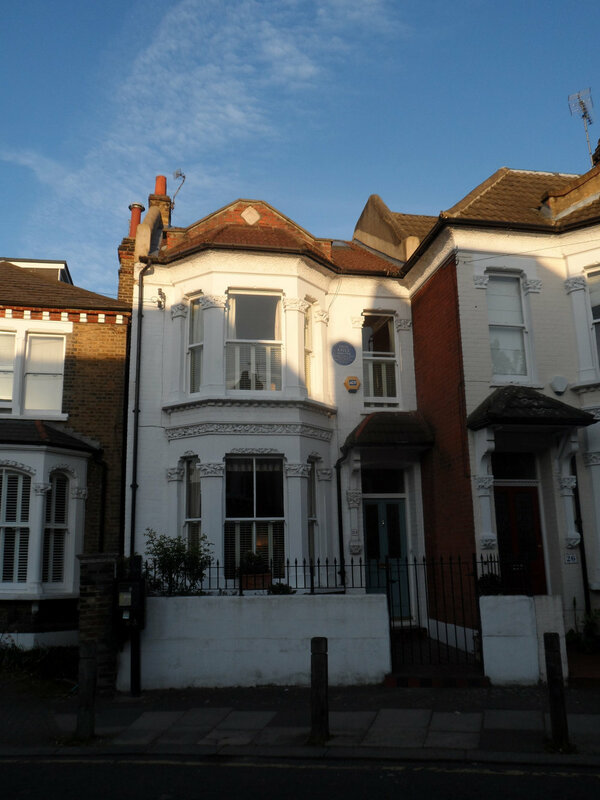 Living in this house in beautiful Battersea from 1898 to 1901, during which time he founded the Workmens' Housing Council in 1898 - a pressure group for better housing. As chair of the housing committee of borough of Battersea, he instituted a major programme of construction, employing direct labour, which produced the Latchmere Estate, the first of its kind built by a London borough. Sporting names that really, really need to make a comeback, the Short Brothers were commemorated in 2013 for their pioneering work in aircraft construction. Eustace and Oswald initially moved to their premises in Battersea in 1906 having been commissioned by Charles Rolls (of Rolls-Royce fame) to build ‘Britannia’- his entry for an international balloon race. They eventually convinced their more mechanically-skilled brother Horace to join then in 1908. As their business grew, most of their work began to move away from Battersea, eventually leaving for Kent in 1919. The site of their premises was easily recognisable due to its proximity to Battersea Gas Works, which supplied the gas for their balloons, however their plaque is somewhat obscured. Edward Adrian Wilson accompanied the amazingly-named Robert Falcon Scott to the Antarctic on two separate occasions. It was on the second expedition that he and four others (including Scott) reached the South Pole, but died on their return to base camp. He is noted for his paintings and drawings of the Antarctic, and was described by Scott as ‘the finest character I ever met’. He lived in Battersea in the late 1890s while he studied for his Bachelor of Medicine at St George’s Hospital Medical School, and during his time performed missions in the slums of the area. William Wilberforce sits in third place for most plaques with seven. Seven. Most are lucky to get one. We're not questioning Old Will's importance, but seven is quite a lot. After all, he has a plaque a short journey away in Clapham commemorating where he worshipped. This plaque commemorates where he actually lived between 1797 and 1809, rather than worshipped, while he campaigned successfully for the abolition of slavery. The rather grand house he lived in during this time was demolished in 1904, and the plaque commemorates where it stood. The area has changed very dramatically and the plaque can only actually be seen from Wroughton Road, and is on the side of a house on Broomwood Road. wANT TO KNOW WHERE YOU CAN USE YOUR CARD IN bATTERSEA?